It seems that by the end of each fashion month (and for months beyond), the fashion industry is flooded with criticism surrounding cultural appropriation, lack of diversity and blatant racism — on and off the runway. One of the most recent examples (of many) is Gucci&apos;s $890 balaclava turtleneck, which was widely criticized for evoking blackface imagery. 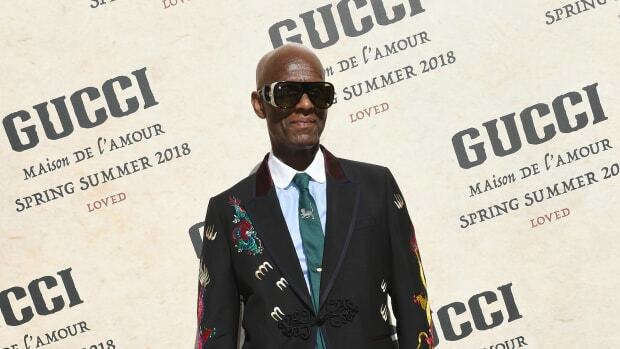 Following the backlash, the Italian label issued a public apology and met with renowned designer and Gucci partner Dapper Dan to develop long-term diversity and inclusion initiatives. But for Black creatives, this most recent incident is just one instance of many in the long, tumultuous road toward creating spaces for themselves in an industry inundated with racism — a racism that&apos;s often only countered with weak attempts at diversity that look more like tokenism than authentic change. Still, Dapper Dan&apos;s ability to not merely be seated at the table, but to lead the charge on diversifying an iconic luxury fashion brand made ripples and sparked questions about how Black creatives can gain control of their own narrative to create a sustainable presence in the fashion world. Should we attempt to make room for ourselves at tables already set, or should we leave the table altogether and build our own, as we so often have had to? This was one question explored at "The Black Experience in the Fashion Industry — The Way Forward," a panel event put on by the Fashion For All Foundation (FFA) and held in designer Phillip Lim&apos;s showroom in downtown Manhattan on March 21. The discussion, which was moderated by Teen Vogue Editor-in-Chief Lindsay Peoples Wagner, brought together a number of influential Black figures in the fashion world, including FFA founders Hannah Stoudemire and Ali Richmond, stylist Solange Franklin, award-winning journalist Constance C.R. White, editor Emil Wilbekin and Dapper Dan himself. The crisp white showroom was filled to the brim with Black editors, designers, writers, photographers and creatives, who murmured in agreement when Dap declared, "We can&apos;t have segregated fashion and expect to move on. We have to be on the inside." The crowd also nodded enthusiastically with Franklin when she proposed that the Black fashion community define luxury brands for ourselves, as opposed to allowing the established luxury brands to guide that conversation. "I don&apos;t think that we need to seek external approval. So that means that we need to start believing in ourselves and assigning that status as valuable — that it&apos;s ours, that it&apos;s for us, that it&apos;s by us…. Are we investing in ourselves?" 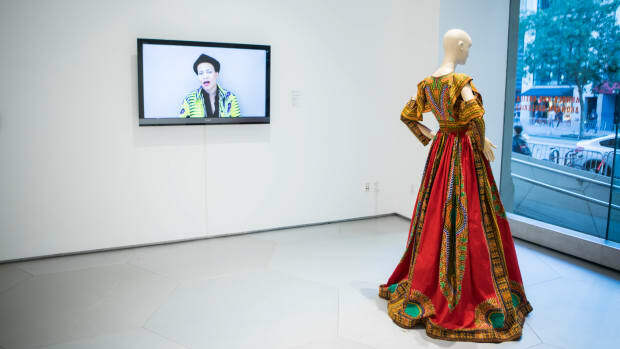 said Franklin, displaying the complexities and juxtaposing sentiments within the efforts to elevate the influence of the Black fashion community. For me, it begged the question: Why must Black creatives do the hard — and so very often lonely — work of dismantling a pervasive racism that we didn&apos;t create nor facilitate? Why, in this room filled with brilliant forces in fashion, should we be expected to rack our brains largely by our lonesomes, and challenge racism&apos;s existence in a space in which we hold such an undeniable influence? 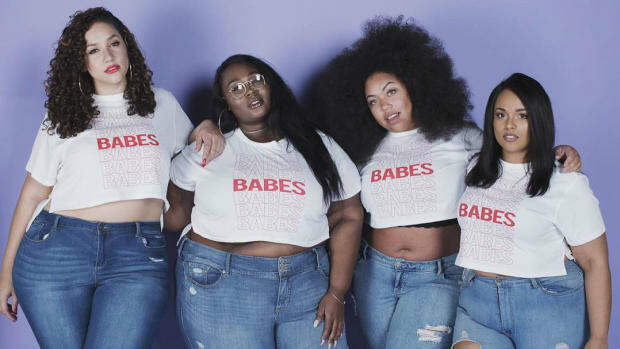 We, too, came here ultimately for our love of fashion and to bring that love to the table — not to constantly defend our presence at the table with minimal support from the larger fashion industry. We&apos;ve undoubtedly worked relentlessly to carve out our spaces and with the onset of social media, creating platforms for ourselves has become easier, engendering more visibility. But often, it feels as though our authority in fashion stops there. "We live in the space of representation. We have more Black models, more Black editors-in-chief, but the market and consumers aren&apos;t being represented within the business parts of fashion. So we don&apos;t have CEOs and advertising directors to actually make the decisions that inform the business," Wilbekin said. "I think a lot of us get caught up in the esoteric, aesthetic side of fashion — we get caught up with the styling and the design. But there are so many other positions of power in fashion that I think if we could get in more with that side of the business and also finance our own collection and businesses, it would help to have a more powerful stake." 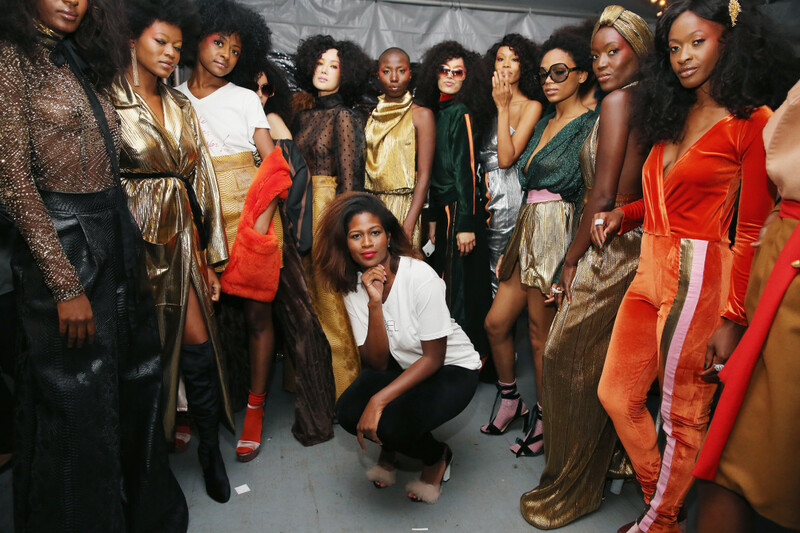 Despite some recent positive changes — the Fall 2019 runways featured more racial diversity than ever before — there are so many systems that facilitate a lack of diversity and often blatant racism within the fashion world that Black creatives alone cannot challenge. Be it ensuring interns get livable wages so all talented, young creatives can participate in programs that train and prepare them for higher positions; or hiring makeup artists and hairstylists who have the tools and training to work with a diverse array of models; or giving Black writers assignments that go beyond pigeon-holing them into writing about diversity to fill quotas and appear "woke." There are so many ways allies in the industry could have sat alongside the people in that room to brainstorm ways to help dismantle a stubborn and pervasive racism within the industry that weighs it down and deprives it of its magnificence. As the event came to a close, Lim, who has become a friend and ally to many of the people on the panel, addressed the crowd, saying, "I promise to do better. I promise to make more space for each other."